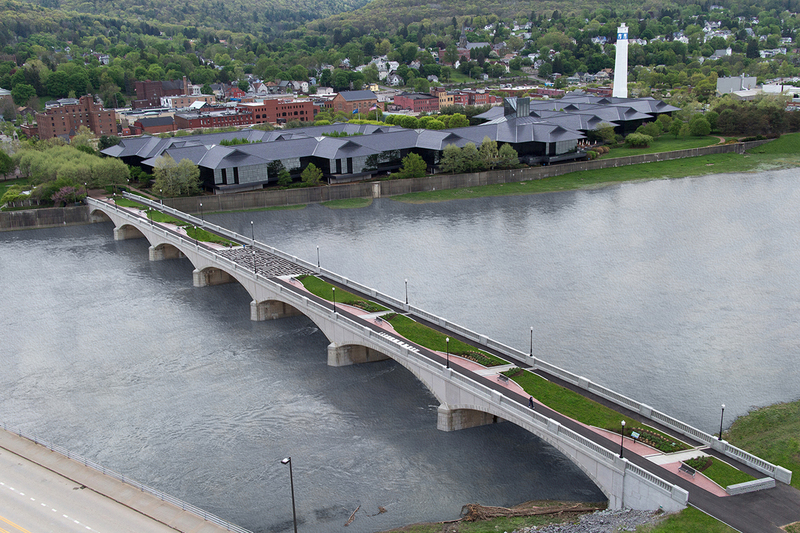 The historic Centerway Bridge is a distinct, unique feature in the City of Corning, NY. It is a filled spandrel, concrete deck arch bridge, constructed as a vehicular bridge in the 1920s. Few examples of this type of bridge still exist. TWMLA was part of the team selected to provide detailed design and construction documentation for rehabilitation of the historic bridge. 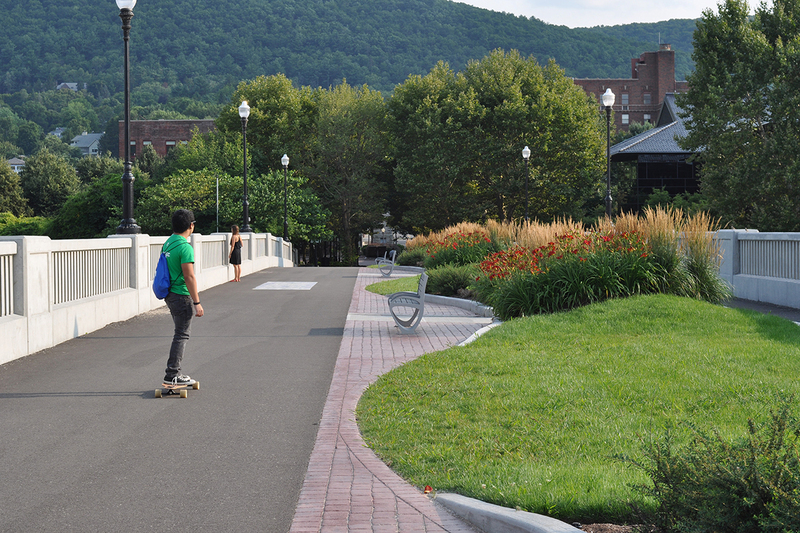 In addition to stabilizing the structure, the project creates a linear urban park on the bridge deck, connecting downtown, schools, commercial and residential areas, and an existing multi-use trail. 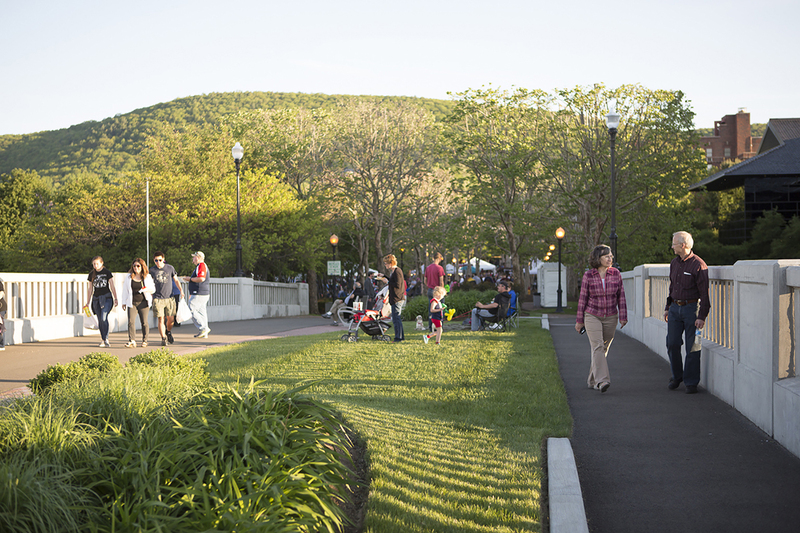 TWMLA’s design replaces wide expanses of asphalt with planting and provides pedestrian-scaled seating and viewing areas and walkways that also accommodate emergency vehicles. Diagonal walks aligned with the bridge piers provide accessible connections to both sides of the bridge. 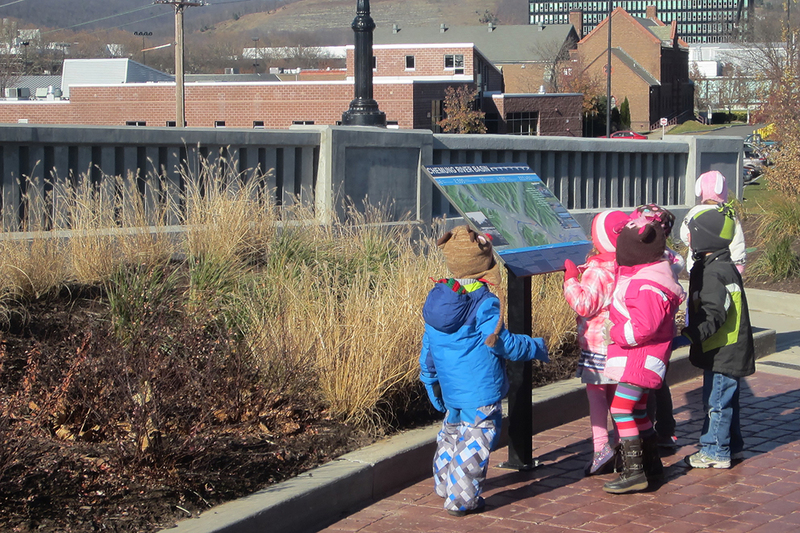 Unique paving patterns, such as a maze and bronze plaques of animal footprints in the paving, as well as interpretive signs, provide fun and special interest for children. Furnishings and other site amenities were selected to clearly distinguish contemporary elements from the original, historic elements.